Don't be fooled by the name, xVideoServiceThief (also known as xVST) has nothing to do with stealing anything from the net. It simply allows you to perfectly legitimately download Flash videos onto your desktop from multiple sources - up to 70 different sites in fact including YouTube, Google Video and Metacafe. Once it's done that, it will convert each video into most popular formats i.e. AVI, MPEG1, MPEG2, WMV, MP4, 3GP and MP3. Using it is simple - just copy and paste the URL of the video you want to download into the download list. 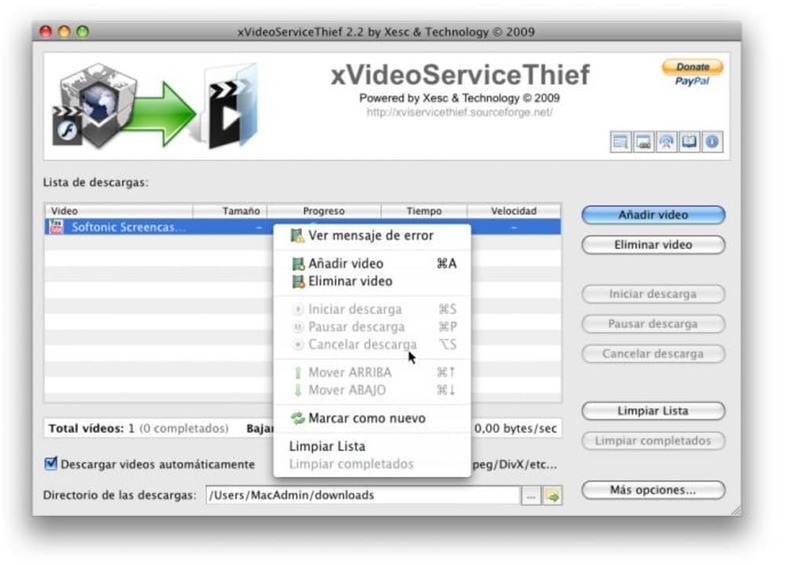 You can instruct xVideoServiceThief to download it immediately or wait until a batch of videos is ready for downloading. The good thing about this is that you can leave it downloading while you do other things instead of start each one separately. A status bar keeps you informed on the progress of each download. Be careful how you use xVideoServiceThief however - if you queue several videos for download, you'll seriously slow down your connection and some videos won't download as fast as others. For sheet flexibility and ease of use, xVideoServiceThief is one of the better video downloaders out there.